Pastor Robert Morris of Gateway Church in Dallas, Texas has announced an unconventional location for the church's newest campus: The state's largest prison. He then shared a video revealing that in November, the church launched a new campus at the Coffield Unit in Anderson County, which houses over 4,000 criminal offenders. 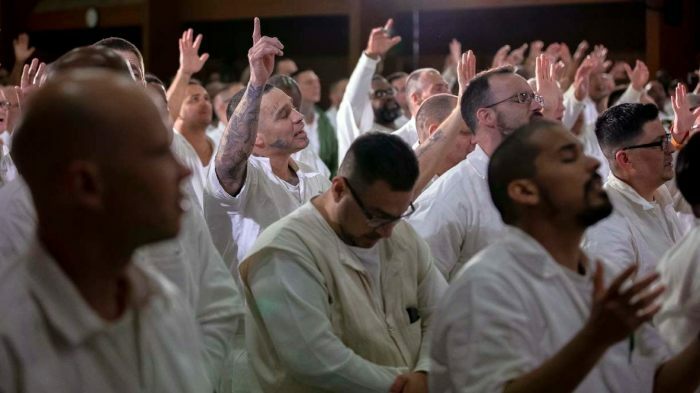 More than 650 inmates attended the megachurch's first service, and over 500 men made decisions to follow Jesus. "Gateway has really impacted my life because a lot of us do not have visits, and you guys comin' in here and sharing y'alls love to us has really impacted our life," one of the inmates says in the video. Over the next two years, the church reportedly plans to open ten prison campuses within 100 miles of existing Gateway campuses. Additionally, there are small groups at every Gateway campus for families of the incarcerated. Previously, Scott Highberger, a former inmate who now serves as the outreach and prison pastor at Road to Life Church in Michigan City, told The Christian Post that God often uses prison as a place of refinement and transformation for inmates.